Home UncategorizedFeatured	NEW Impact Wrestling X-Divison Champion Sonjay Dutt interview; Brian Zane from Wrestling With Wregret talks Wrestling! 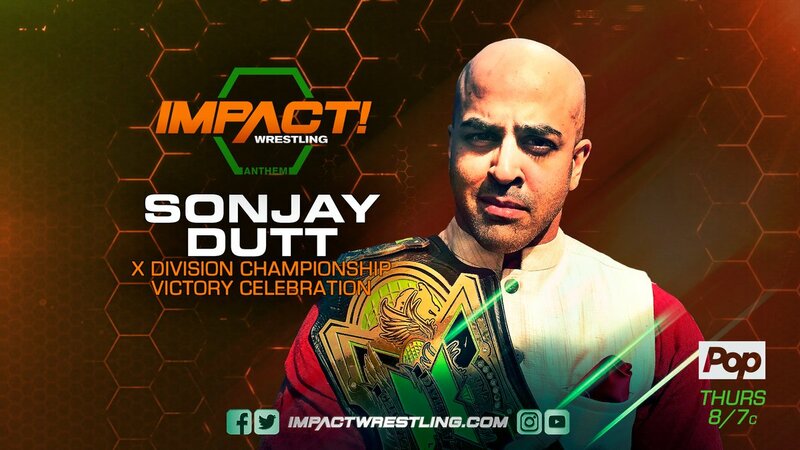 NEW Impact Wrestling X-Divison Champion Sonjay Dutt interview; Brian Zane from Wrestling With Wregret talks Wrestling! Ruben hosts Brian Zane from Wrestling with Wregret on Youtube. Zane and Ruben talk about the controversial finish to the Women’s Money in the Bank match. Did Zane think it was the right call? Find out. They also discuss Daniel Bryan’s announcement for the second Women’s Money In The Bank match at next week’s Smackdown. The two also discuss Shinsuke Nakamura and his slow rise to the top of WWE. Zane and Ruben discuss their take on the Samoa Joe/Lesnar match at Great Balls of Fire and what the potential is for that feud. Zane also talks about the Enzo Amore and Big Cass development. Ruben then invites the NEW Impact Wrestling X-Division Champion, Sonjay Dutt on to the program. Sonjay discusses winning the title in his hometown in India, what brought him back to Impact, and much more. CLICK HERE TO SHOP AT AMAZON AND SUPPORT THE SITE! This Week on Impact Wrestling: Sonjay Dutt Celebrates Victory!